Portugal's Euro 2016 final hero Eder says Cristiano Ronaldo told him he'd score the winning goal against France, and hailed his country's triumph as "an amazing moment" after their historic 1-0 defeat of the hosts at the Stade de France on Sunday. The 28-year-old forward came on in the 79th minute for midfielder Renato Sanches and made his presence felt with a thunderous strike past France's Hugo Lloris in the 109th minute to give Portugal their first major tournament title. Speaking after the match, the Lille man revealed the Real Madrid superstar, who was forced off with a knee injury in the 25th minute, predicted his decisive goal ahead of time. "Cristiano told me I would be scoring the winning goal. He and all my teammates," Eder said. "He gave me strength and positive energy. And that goal was really important. "A lot of hard work went into it. We worked hard from the first minute and right from the beginning of the Euro. We were spectacular. The Portuguese people deserve this." Eder had played just 13 minutes at the European Championship before coming on in the final, but said he'd always believed his moment to make an impact would come. "Since the first day [I thought my opportunity would come]. Ever since Fernando Santos called me up. He knows what my capabilities are and so does our group," Eder said. "They trust me and I have worked hard to contribute and today it was possible. I'm very happy about what we've achieved." He added: "It was an amazing moment. Our team worked really hard. We knew that the Portuguese people were behind us. "We fought with immense strength, we were amazing. I think we deserve this title due to the work we put in, all the players and the staff. Portugal had been wanting this title for so long. Eder celebrates his Euro 2016-winning goal against France. "This is fantastic and well deserved. Congratulations to every single one of us." 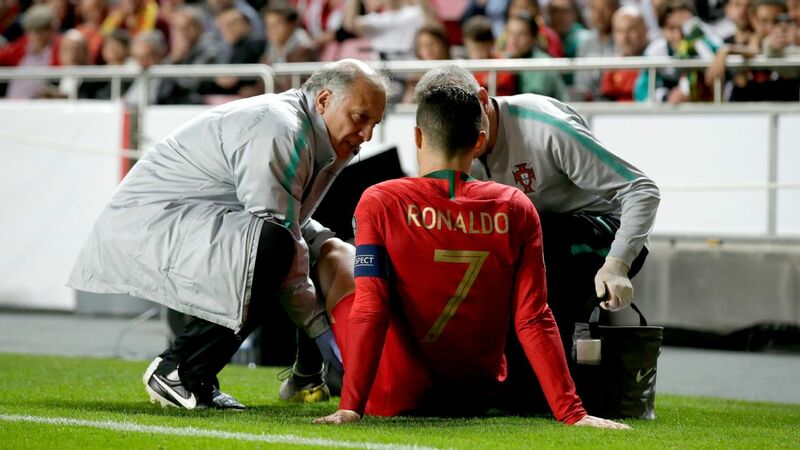 Defender Pepe highlighted Portugal's difficult road to European glory after captain Ronaldo limped out of the match early. "This was tough as we lost our main man and we had all our hopes on him because he can score a goal at any moment. When he couldn't go on I tried to tell our teammates that we had to win it for him," the Real Madrid star said. "The coach set us up very well, the subs came on at the right time too. We poured our blood, sweat and tears into this. We've written a brilliant page in the book of Portuguese football history." Speaking to RTP after the match, Paris-born full-back Raphael Guerreiro said the triumph was the pinnacle of his career. "It's not really sunk in yet," Guerreiro said. "I play for Lorient usually, and winning this title at the end of the season sounds incredible for me. And it's in France too, so it's even more special. It's spectacular, and I hope we'll perform well in the next tournaments too. "We didn't pay much attention to the critics, as we were winning our games. We concentrated on each game as it came. The goal was to win the tournament, and in the end we won it, thanks to the whole team. "We worked hard on and off the pitch, and we deserve it. It's a very good reward. At the moment it's the best moment of my career."